Home » Live Well » Feeling Low? Try These 10 Effective Tips To Stay Happy! Feeling Low? Try These 10 Effective Tips To Stay Happy! 20th March 2019 is International Day of Happiness. The day aims at being happy and recognize the importance of happiness in the lives of people all around the world. Enjoyed a wholesome meal with your family? Had a playdate with your kids? Laughed it out like there’s no tomorrow? Thinking right?? Well, thanks to our tight schedule and hours of commitment, we often do not get time for ourselves. This, in turn, causes stress, anxiety, anger, and negativity, that we fail to enjoy the small moments in life. But this International Day of Happiness, we share some simple and effective tips to help you cheer up and beat stress. 10 Tips to Stay Happy! 1. Wake Up with a Positive Thought! Instead of searching for your mobile phone as you wake up or scrolling through your phone the first thing in the morning, plan about your day. Do not snooze that morning alarm nor do close the curtains to block sun rays but wake up with a smile on your face and think how to make your day the best. You can start your day on a spiritual note or soak in the sun rays as you still lay in bed. Don’t rush out of your bed in a hurry but every morning, when you open your eyes, wake with your version of this statement “My purpose today is to ……… today”. This day of happiness, let’s pledge to spend some “ME” time. This doesn’t mean sitting on a couch with your phone or scrolling through the chats and social media when out in a park. Go for a 15-30 minute walk daily and while you walk, make sure you observe the greens and nature which will make you relax and release happy hormones. Practice the art of sitting in silence every day for 10 minutes. Take out time for meditation and prayers as it is known to provide a daily fuel to get charged up for the day. “You are what you eat”. So if you pick healthy choices, you will be healthy and happy but if you are the one who vouch for processed and oily foods, then remember that it can impact your health in the long run. Eat a diet rich in vitamins and nutrients. Opt for seasonal fruits and vegetables and limit the intake of foods that are manufactured and processed. Do not skip your meals. Drink plenty of water to cleanse your system. Remember that a healthy body means a happy you! Have you heard the Millennial lingo — YOLO (You Only Live Once)? And as rightly said, you need to make the most of it. So instead of sticking to your TV or binge-watching a series, enroll for a dance class or a cookery class. It will not only keep your mind engaged but also help you relax and feel good at the end of the day. Remember to live each day with 3 “E”s: Energy, Enthusiasm, and Empathy. Play more outdoor games, read more books and disconnect from the virtual world. Dream of a better world and a better you. Keep your surroundings clutter free because the more untidy your space is, the higher is the risk of infections and health problems. Clear clutter from your room, your wardrobe, your car and your desk as this will make way for a positive flow of energy into your life. Moreover, it can also help you to burn calories and boost metabolism, which can aid in weight loss. How about cleaning and decluttering your house this weekend? Remember that life is a constant learning process. The problems that you face right now can eventually help you emerge stronger and better. And whatever you learn in life, will only help you make a better person in life as it will be a lesson learnt for life. So do not panic or feel sad when you face a trouble but turn to approach it in a positive way as there is a solution for every problem. For a happy life, it is important to learn the art of forgiving. Everyone around you is facing challenges just like you. Do not let hatred consume you. Let go of negative people and stay away from negative situations. You have no idea what they have been through. Do not compare your life with others as it will only add up stress and make you feel sad. The best thing about love is that it needs to be shown. Show your loved ones more love. Pamper your parents and grandparents with small gestures. This could mean making time to eat dinner with your family or spending a weekend with your grandparents and kids. Surprise your friends and loved ones by calling them or visiting them. These small things will not only make you feel very happy and content but also make people around you happy. You do not have to win every argument. Learn to “agree to disagree”. Do not be disturbed by what others might think of you. What others think of you is none of your business; you have no control over it. But what you can control is how you respond to it. Sleep on time. If you fear to miss your favourite late night shows, record them and watch them later. Before you go to bed, remind yourself what you are grateful for and what you liked doing the most during the day. A sound sleep can help you to stay strong and healthy both physically and mentally. So do not compromise on your daily dose of sleep at any cost! Life is too short to be taking everything seriously. Tell yourself that “The best is yet to come”. Always hope for a better tomorrow. Laugh when you can, apologise when you should and let go of things that you cannot change! Stay Happy, Stay Healthy!! How To Avoid Stress At Workplace: 5 Tips That Can Help! Joyous And Happy Living Could Help You Live Longer! 1. Cohn MA, Fredrickson BL, Brown SL, Mikels JA, Conway AM. Happiness unpacked: positive emotions increase life satisfaction by building resilience. Emotion. 009;9(3):361-8. 2. An S, Ji LJ, Marks M, Zhang Z. Two Sides of Emotion: Exploring Positivity and Negativity in Six Basic Emotions across Cultures. Front Psychol. 2017 Apr 20;8:610. 3. Nakata A. Work to live, to die, or to be happy? Ind Health. 2017;55(2):93-94. 4. Delamothe T. Happiness. BMJ. 2005 Dec 24;331(7531):1489-90. 5. Heinitz K, Lorenz T, Schulze D, Schorlemmer J. Positive organizational behavior: Longitudinal effects on subjective well-being. PLoS One. 2018 Jun 22;13(6):e0198588. 7. Fredrickson BL. 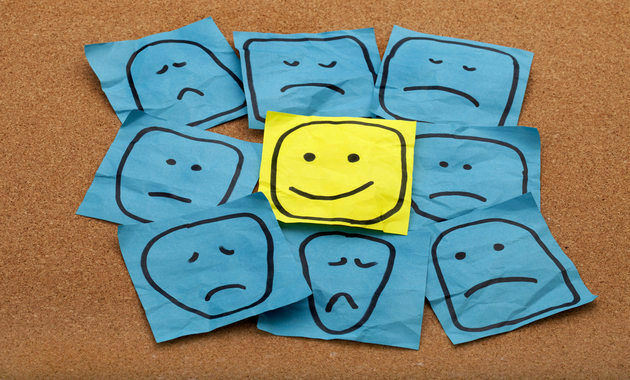 The role of positive emotions in positive psychology. The broaden-and-build theory of positive emotions. Am Psychol. 2001 Mar;56(3):218-26. ← Tips To Help YOU Quit Smoking! !